I've only made 1 shoe so far. But it's just TOO hard and frustrating I need to brag and get some support to gather the courage to start the second one. By huge, they're sized 40-42 depends on the model of the shoe while average Chinese women around my height have shoe sizes from 36-38. And by baby, they're super meaty and fragile. Shopping for shoes is really hard, and a lot of the shoes here hate my pinkies. I have this pair of shoes that I've almost never worn for years, and the only 2 times I did both gave me bleeding pinkies. But they have really comfortable soles. 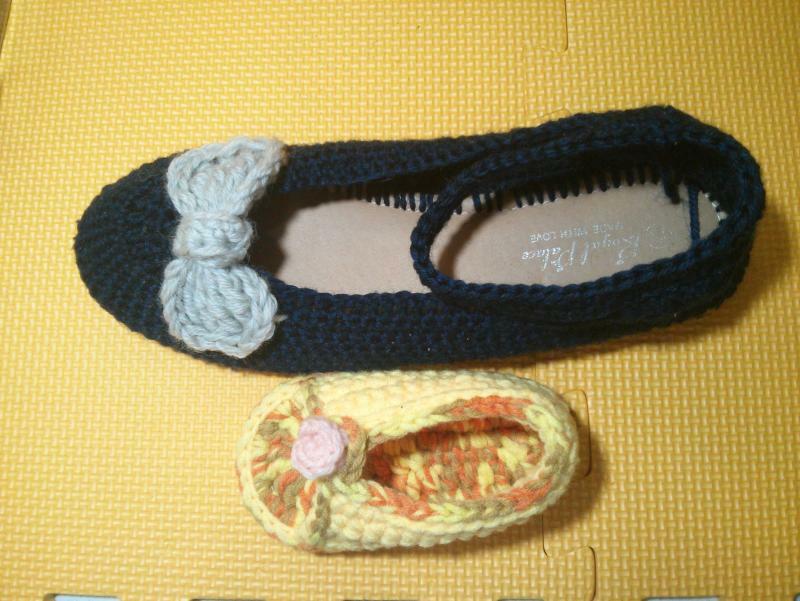 So I decided to transform them into crocheted yarn shoes that can actually wear outside of the house! But it turned out to be really hard, there are several times I almost gave up. How very clever you are. With the soles having come from a "street worthy" pair of shoes, I think these crocheted shoes would work. Definitely finish the pair and give them a trial run. They look very comfortable and dainty. The shoe is lovely. The only problem you may have is if the stitches used to join the sole touch the ground, they will wear out fast. Otherwise, I really think you should go for the second shoe. Its very cute. Get that second one done so the other foot will have a comfy shoe too. I love them!! Do they have rubber bottoms? If so, they should be fine to wear around, as long as you don't walk in any mud or wear them out in the rain. Thank you all! Now I've gathered all the strength I need! 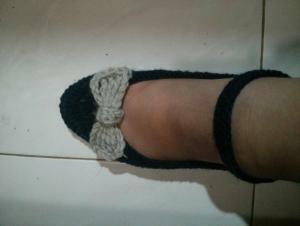 I think it is a very pretty shoe.